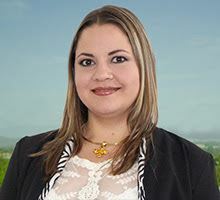 Silvia has been a part of the legal industry since 2002. She has worked for EAN International (now GS1), the global standards organization in supply chain management, as well as for law firms and legal software companies. Silvia co-authored the Harvard Business School case studies GlaxoSmithKline: Sourcing Complex Professional Services (N9-414-003) on the company’s legal procurement initiative and Riverview Law: Applying Business Sense to the Legal Market (N9-414-079) on a new model law firm that uses management information systems and cause analysis to reduce legal costs for its clients. She is the author of many articles on law firm management including "What we Know and Need to Know about Legal Procurement" in the South Carolina Law Review and The Georgetown Journal of Legal Ethics’ “I didn't go to law school to become a salesperson.” She also authored and edited a number of books, including the Legal Procurement Handbook and Buying Legal: Procurement Insights and Practice. The Buying Legal Council also publishes Winning Proposals: The Essential Guide for Law Firms and Legal Services Providers. Silvia is a Lecturer in Law at Columbia Law School and an Adjunct Professor at Fordham Law School, where she pioneered courses in law firm management. She earned her PhD at Nottingham Law School (UK) and holds a Master’s Degree in Business Administration from Universität Bayreuth (Germany) and Warwick Business School (UK) as well as an Undergraduate Degree in Economics from Universität Bayreuth (Germany). She is a Fellow of the College of Law Practice Management. Lena holds a PhD in Sociology from the University of Massachusetts Boston and a Bachelor's Degree in Marketing Communication from Emerson College. Lena has extensive experience in project coordination and outreach, mixed methods research, and program evaluation. Lena has published in peer-reviewed academic journals in social science research such as the Journal of Criminal Justice Education. Lena is currently an Adjunct Assistant Professor in the Sociology department at John Jay College of Criminal Justice in New York City. Simone is passionate about facilitating change within the industry. The old law firm model is like owning a Filofax in a world currently dominated by smart phones. Business is moving quickly, actually more efficiently, and so too should their legal services providers. The Buying Legal Guide is the meeting point for buyers and suppliers of legal services to create the Renaissance the industry needs. From start-ups to Fortune 500 companies, Rebecca leverages each client's unique contribution to create PR campaigns and marketing strategies that develop their brand and amplify their voice. As an award winning writer, she uses the written word to transform ideas into stories that connect with and convert target audiences. She has a B.A. in Communications from The Ohio State University. 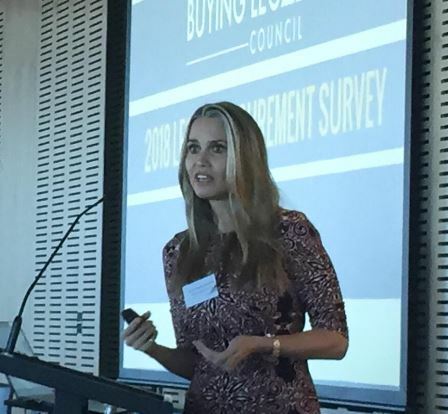 She joined the Buying Legal Council team in August 2017. She is fluent in English and Italian. Doria is the Executive Assistant for the Buying Legal Council. She brings over six years of experience in Digital Marketing coupled with a background in customer service. She is fluent both in English and Spanish. Doria helps the team dream up cool ideas and put them into practice by arranging the right resources. She keeps our office organized and supports Buying Legal Members and Friends. Helen B. Cork is a licensed attorney in Kentucky, United States, practicing in the areas of personal injury, medical malpractice, contracts, and immigration law. As an adjunct professor at NKU Salmon P. Chase College of Law, Helen teaches Marketing for Lawyers and Law Project Management classes. She is also the founder and CEO of ECE R.O.I. Consulting firm (EceROI.com), serving the marketing, project management, and wellness needs of law firms for the best return on investment in the United States, Turkey, Europe and across the seas. Helen received her Juris Doctor from Chase College of Law, her BA in Business and Economics from Uludag University in Turkey, and her Certification in Global Arbitration and Negotiation from Queen Mary University of London in England. Utilizing her 20 years of business, law practice, and leadership experience, Helen is a national speaker on topics related to Attorney Marketing, Project Management, and Technology at local and national conventions and conferences. Helen speaks English, Turkish, and Bosnian.